Home / MOVIE PROMOS / Watch "THE MAZE RUNNER" with your 4 friends in advance! Watch "THE MAZE RUNNER" with your 4 friends in advance! 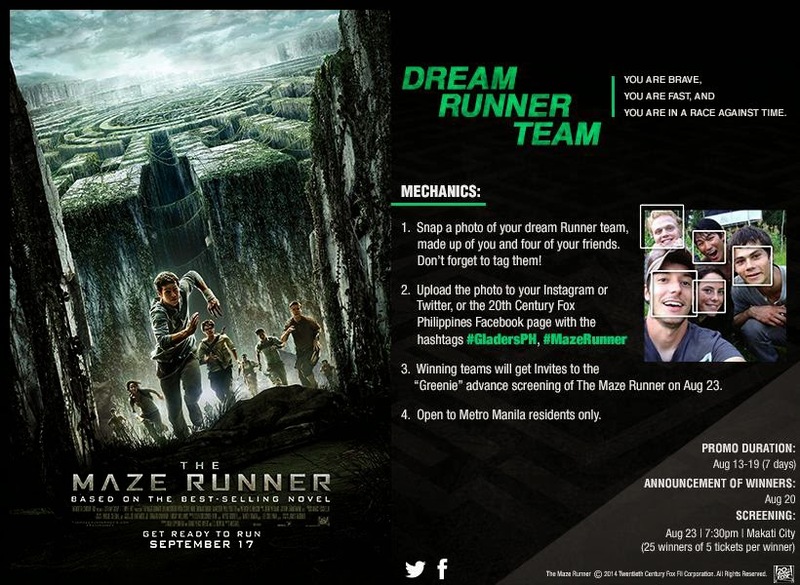 Upload a photo of you and your friends here on our Facebook wall, your Twitter or Instagram with the hashtags ‪#‎GladersPH‬ and ‪#‎MazeRunner‬. Promo runs until August 19. Watch the official trailer of "The Maze Runner" here.